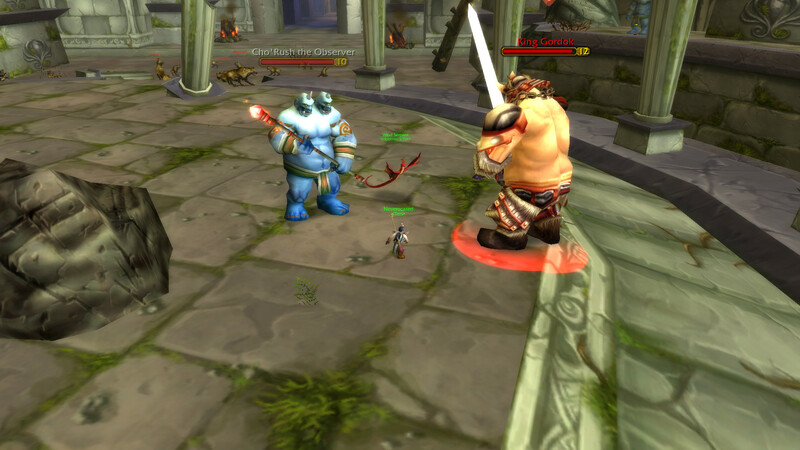 Taunting a mob that has been polymorphed causes the mob to stop attacking and follow you around. can confirm, attempted last night, it appears we can pull them to their normal distance before they retreat back and are reset to being aggressive as usual, works on ally polyable and tauntable mobs, the mobs must be pulled with polymorph, and it seems you can do it to as many mobs as you'd like. So this basically turns a mob into a kind of pet that just follows you around until it gets too far from its spawn point? Nice find! Sounds like a core bug. Can also confirm. You don't have to taunt you just need to cause more threat than the mage did when they used Poly. You can also do this with fear. Not as easily but it is doable. This bug has since been fixed.